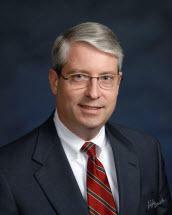 Martin Buckley specializes in the trial of civil lawsuits and has tried over 100 jury cases to verdict. Martin was awarded the Lon O. Hocker Memorial Trial Lawyer Award in 1998 in recognition of his outstanding skills in the art of trial advocacy. He has been selected for inclusion in Best Lawyers in America in three practice areas: Insurance, Insurance – Litigation and Personal Injury – Defense. He is a member of the Defense Research Institute and the Missouri Organization of Defense Lawyers. He is a Past President of MODL and served on its Board of Directors from 2000 - 2009.